Like waterparks? 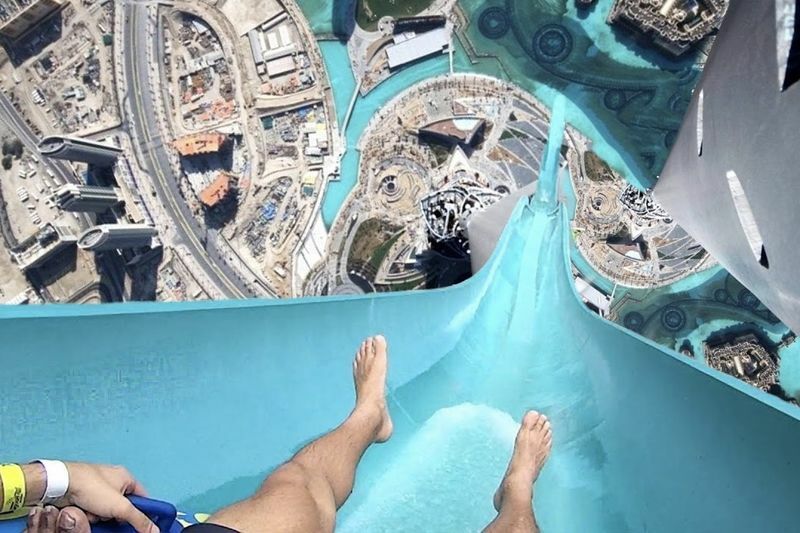 Well, here's a list of the most dangerous waterslides ever created. Ah, what a better way to start off this list than with a waterslide that actually sounds like a trap! Now, there are many water parks that have a slide called the Black Hole, but the one I am speaking of is in Orlando, Florida at the Wet N’ Wild Water Park. Before I go into details on this one, you need some context. This slide made it onto this list because of a mechanical malfunction that almost created a disaster. It was not a design flaw like many other rides on this list. Now you know. The Peninsula Aquatic Recreation Center is home to a ride known as the Aqua Sphere, and it's not hard to see how it got the name with that massive sphere popping out in certain places. One day a young boy was smashed into the wall of a sphere and knocked unconscious. Loops are a key attraction at both amusement parks and water parks. But the main problem with designing a ride with loops is that if you don't get enough speed, you're not going around it. This is what happened with one woman in Australia who rode The Aqua Loop. Part of the fun of going on a waterslide is seeing the way it's designed. Since it's a park, it's meant to incite feelings of awe and wonder about what going on the different slides will be like. But, since they are competing to be cool and cause excitement, it can have some bad side effects, including death! There are two ways to go down this slide, one is bare-body and the other is with an inner tube, either solo or with a friend. One of these slides had a notorious habit of flipping the tube, injuring many riders. Eventually, there were 20 different lawsuits brought against the park, including one of a lady who broke two vertebrae in her back, and were found guilty in six of them. The ride is still there. You go on waterslides to have fun, but many women and girls on one in Sweden were abused by men waiting for them in the pool at the bottom of the slide. Disgusting. This is possibly the most dangerous ride ever, well, for the one month it was open. Reports eventually came out that the owners bribed their own employees to go on the ride just to entice patrons to try it out. Video: This Girl Completed Her Bucket List In One Week! Video: The Most Dangerous Creatures Down South!